Michael Jackson’s London concert at the O2 arena will still occur. Yes, you read that right — Michael Jackson is not finished with performing. Jackson was in the final preparations for a 50-date performance run at the O2 arena when he passed away June 25.
the This is It show. that would have been Michael’s 51st birthday. Remember the CNN hologram of Will.I.Am talking with Wolf Blitzer on election night? would have backed Michael Jackson’s final live shows. Jafargholi performed Who’s Lovin’ You at the July 7 Michael Jackson memorial. Check it the entire video of the Staples Center event here! 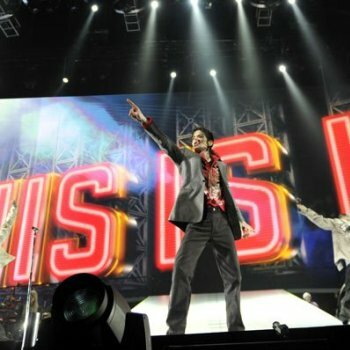 Philips added that This is It would have been an “amazing show” and Jackson would have wanted the London fans to witness the event, even with him reporting for duty as a hologram.